Whether you’ve been involved in a minor fender bender or a major collision, it’s critical that you seek care right away. The compassionate and highly skilled team at 360° Wellness will do everything possible to ensure that we address your injuries and get you the best care so that you can return to your life. What Are the Steps I Should Take If I’m Injured? Contact us as soon as possible (ideally within 10 days of the accident) to schedule an appointment. We will assess your condition and provide treatment if needed and advice. The first person who conducts your assessment (chiropractor or physical therapist) will become the director of your treatment. Complete a Notice of Loss and Proof of Claim form and submit it within 10 days of the accident. Begin treatment. According to research, beginning physiotherapy within 10 days of your accident will decrease both the length and severity of your outcome. Please note that no physician referral is necessary to receive care from us. If you’ve been involved in an auto accident, the last thing you want to do is travel all over town from one office to another to get all the care you need. To get on the path to recovery, you are entitled to 21 combined sessions of chiropractic, physiotherapy, acupuncture or massage therapy at our practice. These and many other services are available here—all under one roof—for your convenience. We also feature private treatment rooms to ensure your comfort and privacy. 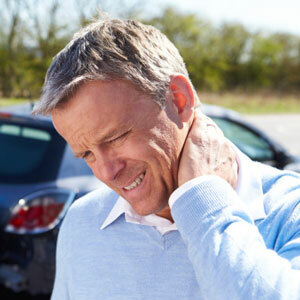 Whether you have back or neck pain, whiplash, a concussion, vertigo or other injury related to your accident, our team of experts will do everything possible to help you resume your daily activities. We feel privileged to have helped so many patients get relief from their pain and discomfort and return to work and everyday obligations. Contact us today to seek care for motor vehicle accidents and get your healing started!